Last year saw Eltec exhibit their services for the first time at Interplas, as part of the PlastikCity Pavilion, and the business has gone from strength to strength ever since. To continue this momentum, Eltec has invested in a new website, enabling easier navigation for site users as well as highlighting the full range of survey services designed to eliminate wasted energy for business in the plastics sector. 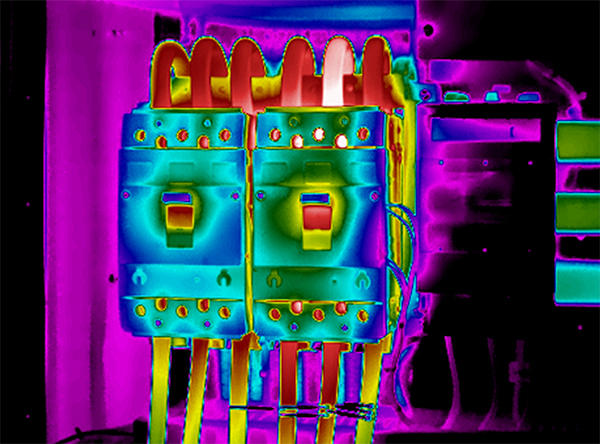 A key area in which they have seen a growth in enquiries is in the thermal imaging of control cabinets. In response to this, Eltec has invested in a higher specification thermal imaging camera capable of full thermal radiometric video. Predominantly, this will be used for thermal scans of machine control panels, hydraulic accumulators, high level bus bars and tap off boxes. ELTEC have been identifying waste energy within the plastics industry since 2012, and during that time over £5m worth of wasted energy has been identified. The new website demonstrates the various ways they can do this and the savings businesses can hope to benefit from. In a recent routine find-and-fix survey for a major plastics business, they were able to identify 45 leaks – 32 fixed on the spot for an immediate £5k/year saving and 13 requiring replacement parts for a further £6k/ year saving. Find out how Eltec can identify cost-savings in your business, contact Bryan Elwick today below.